You'll be £12.99 closer to your next £10.00 credit when you purchase Foul Deeds and Suspicious death around the Black Country. What's this? The history of the Black Country has a dark side - episodes of violent death and villainy run through it. In this compelling book David Cox and Michael Pearson have select over 20 of the most revealing, shocking and disturbing cases. Their investigation throws new light on criminal acts and on the workings of the criminal mind. They take the reader on a sinister journey from medieval to modern times, following a trail left by cut-throats, traitors, rapists, thieves, murderous husbands and lovers, horse-slashers, torturers and brutal executioners. The result is a fascinating study of Black Country criminality which will be essential reading for anyone who is interested in the area's rich - sometimes gruesome - past. Michael Pearson recently retired as a Police Inspector in West Midlands Police, and he worked as a policeman in Birmingham and the Black Country. His final years of service were spent working on the National Police Federation. He has long been a keen student of Black Country history. He is editor of The Blackcountryman, the quarterly journal of the Black Country Society, and he manages the Black Country Society's website. 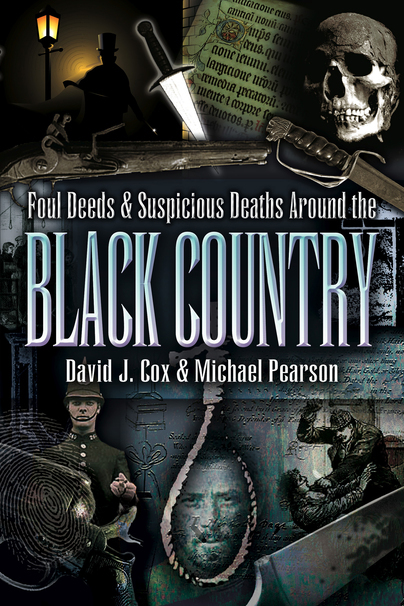 He has written many articles on aspects of the Black Country's history, and he is co-author, with David Cox, of Foul Deeds and Suspicious Deaths Around the Black Country.